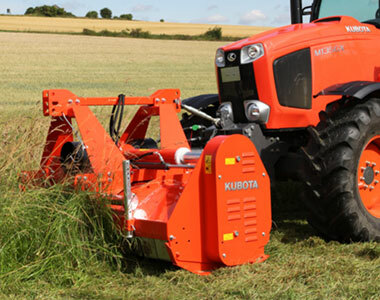 The Kubota SE4000 series is a new multipurpose chopper for chopping grass, pasture, set-aside land and stubble. 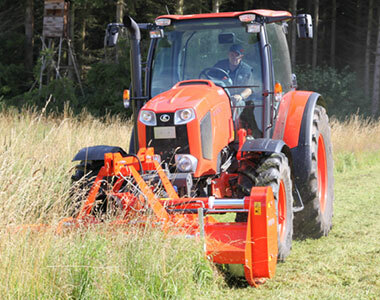 A strong double headstock allows mounting the machine in front or behind the tractor. Together with the hydraulic offset it gives a multi-purpose versatility for nearly all conditions e.g. clearing out field edges, orchards road edges. 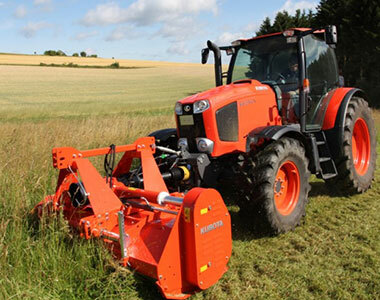 The hydraulic offset is ideal for clearing out field edges – versatile use also for road maintenance. 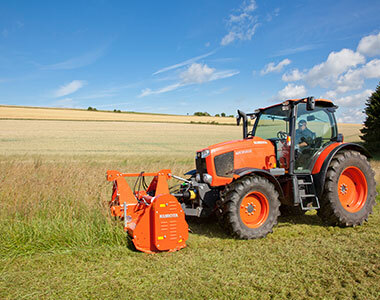 The Kubota SE4000 series is suitable for tractors up to 140hp and is available in working width of 2.35m, 2.80m and 3.25m. Auto-alignment – The central gearbox fitted into the headstock ensures that the pto-shaft remains straight in all working positions. Even on max. 500 mm offset the pto angle does not change. A strong double headstock allows mounting the machine in front or behind the tractor. The hydraulic offset for multi-purpose versatility. Auto-alignment for a smooth drive, reduced wearing and a longer lifetime of the pto shaft and the whole driveline (crosses and yokes). Solid construction for long working life (double skin). 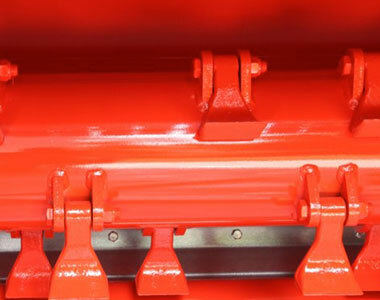 PTO tractor input can be 540 or 1000rpm; by inverting belt pulleys SE4000 always keep same rotor rpm. Central gearbox up to 140 hp with integrated free wheel as standard. 5 V-belts combined with automatic belts tensioner always ensure smooth transmission, preventing slippage in toughest working conditions. No any belts maintenance is required. The heavy duty headstock is well proven and tested in different situation in order to offer maximum reliability. Double headstock for front and rear mounting option. A strong 219x8mm tube forms the basis. Large diameter ensures easy and precise balancing and smooth running without vibrations. One standard U-counter knive. 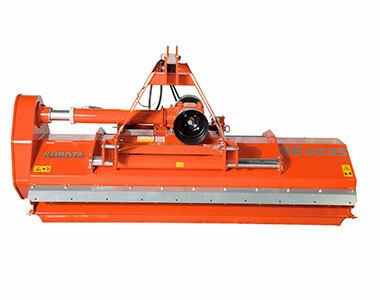 A second U-counter knive is available (optional equipment) for more intense shredding and heavy conditions. 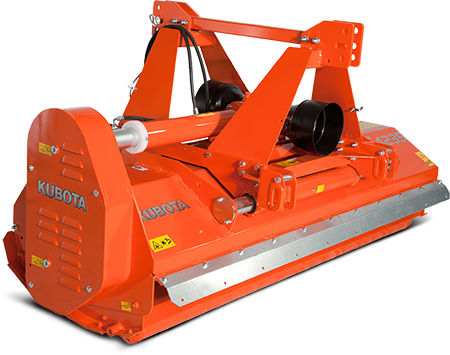 A second U-counter knive is available (optional equipment) for more intense shredding and heavy conditions. Also combinable with double skin. Standard equipment for reliable depth control in all conditions. Ø 160mm with 45mm bearing hub and greasable ball bearings. Replaceable bearing housing. Bearing Hub integrated and interchangeable via skid.